When glass breaks, it becomes a safety and security concern at the same time. Customers or employees could be at risk of serious injury and your business may no longer be secure. In these instances, time is of the essence and that's where Best Glass comes in. Making businesses safe, secure and productive again is our business. 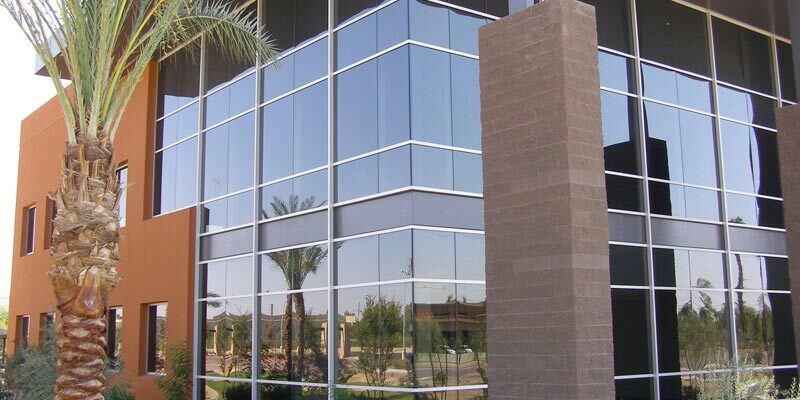 If you need commercial glass replaced, Best Glass is your Full Service glass provider. Offering laminated, tempered, annealed and bullet resistant glass for your commercial window glazing in a variety of colors and thicknesses, we have what's needed to meet your needs. And when you have questions, Best Glass has the expertise to answer your commercial glass replacement questions, offer possible alternatives and suggestions and provide you with a Free Estimate so that you can make an informed decision. If it's glass for new construction or tenant improvements that you need, our commercial glazing department can help you there too. We'll be happy to review your plans and provide a competitive bid to meet your time frame. We can help you with complex security or Davis Bacon jobs as well. Our experienced glaziers are qualified to handle any project that you may have and deliver it on-time and within budget. Best Glass is fully licensed, bonded and insured for your peace of mind. Maintaining an A+ rating with the Better Business Bureau since 1991, we're committed to doing business right and putting you first.